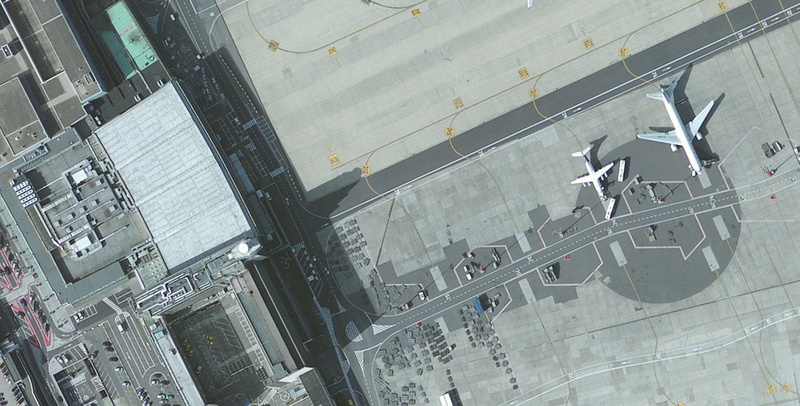 Guess the airport we just got the sat images for (and boy oh boy it is hard these day to get those legally and for a acceptable price) and you get it for free. If it is not guessed in 10 minutes I will be very very disappointed. Looks like Brussels indeed, wich seems very logical. I assume it's done by DFS again since they did the previous (current) Mega airport Brussels too. And they're about to finish Rome, so it's time for their next project. It is Brussels indeed (you win Dimon). No FS2004 version planned right now (ohhh and please please please let's not make this a conversation, get me enough customer to avoid loosing too much money and we'll do it). And it is not done by DFS. major +1 for Schiphol.. But keeping on topic good news about EBBR, a good airport but never purchased previous version as to many reports of bad fps.... Hoping this one wont suffer the same fait. Hmmm just bought the existing Brussels, so I am still happy with that. Very nice looking teaser shot, though. I bought a lot of sceneries for FS2004 and I do not intend to buy FSX !!! Please drop this discussion, read the previous posts. It doesn't contribute anything to the product being showcased. Wow! You made my day Mathijs!! To be honest, we also would like to make an FS2004 version and would even do one if it meant making no profit. But that is right now not possible for this project. there are still a lot of FS2004 pilots, but they do not invest much in their hobby. Let's close this issue now as it pops up for every single product we show here. Move on for God shake, other people incl. myself did. Small question from the Belux vacc (vatsim Belgium if you will). Will the new connector building be added as well, since by the time the scenery will be finished the connector will be done as well. Thus resulting in outdated scenery from the start :s.
Good point. I wasn't even aware about the current construction at Brussels but one of my blogreaders pointed out to me. I hope Aerosoft and the developer responsible will take this into account. Could be the issue was already discussed between the two parties as developing from scratch could probably take as long as the construction would. Nevertheless I'll like to know as well if you considered designing the new link between Pier A and B.
it is our intention to model the connector, after all we couldn't release a dated scenery! But has anybody any plans or drawings on how it is going to look? I might as well be able to get you in contact with the spokesman of EBBR/BRU which might be able to help you further. Very nice! Glad to see older scenery getting a refresh. Thanks Aerosoft! This is no refresh, it is a complete remake from scratch!